Warped eggplant. Dented zucchini. Too-small squash. One major area of food waste in America is on farms, where crops that aren’t suitable for supermarket shelves – usually for aesthetic reasons – are left in the fields to rot. In fact, according to the nation’s largest domestic hunger-relief organization, Feeding America, more than 6 billion pounds of fruits and vegetables go unharvested or unsold each year. This past fall as part of a new class entitled “Gleaning, Food Security and Agriculture,” six Drexel students worked alongside six members of the local community to study this phenomenon – and a possible solution. The class focused on the practice of gleaning – gathering leftover crops from a farmer’s field after harvest – and how this time-honored tradition could help prevent farm-based food waste while also fighting hunger in America. 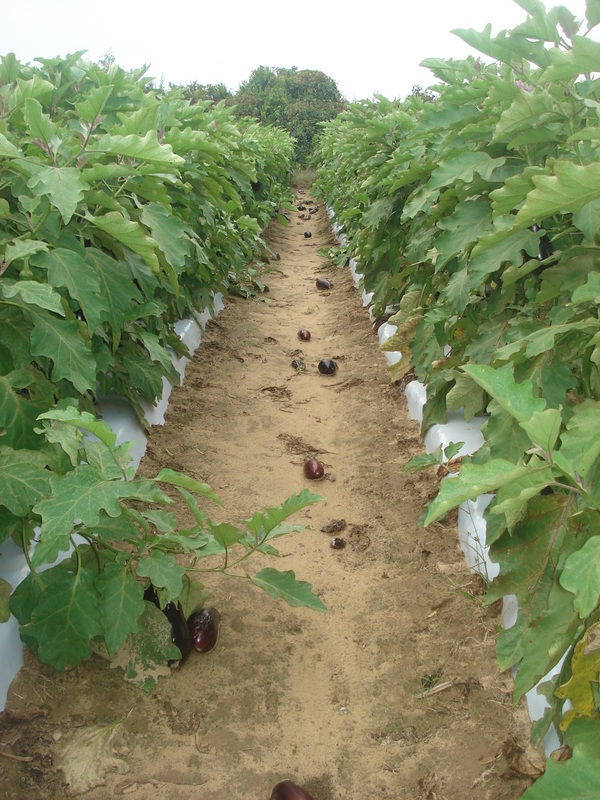 Produce that is left behind in the fields is a major source of food waste in America. Gleaning is a term that dates back to the Bible, which instructs farmers to leave the corners of their fields unharvested to let “widows and peasants” come through to pick their own crops. “Gleaning might well be one of the earliest forms of hunger relief,” said Eva Thury, PhD, an associate professor in the College of Arts and Sciences’ Department of English & Philosophy, who taught the course, which wrapped up last week. Consistent access to nutritious food, such as fruits and vegetables, is essential for food security today, but many people can’t afford to purchase fresh produce from grocery stores. 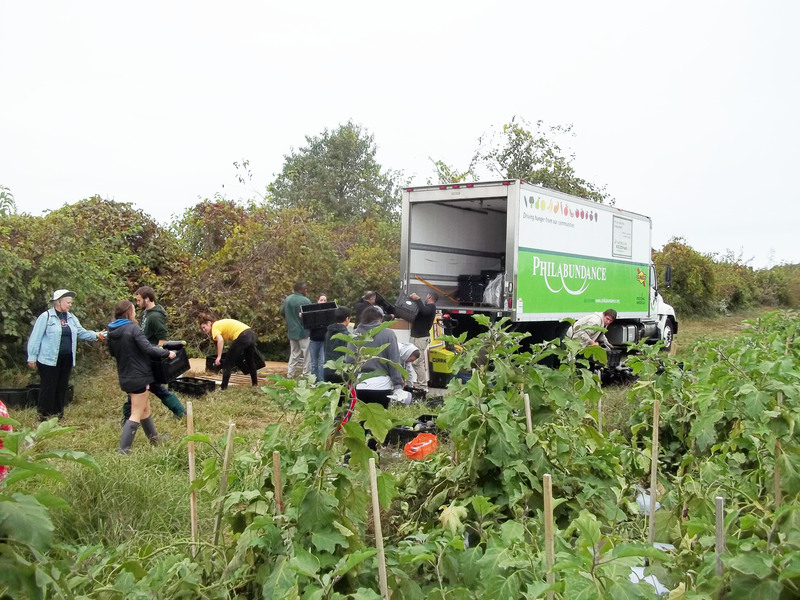 Gleaning programs, which have been gaining popularity in recent years, help to meet this need by sending volunteers into the fields to collect leftover produce, which is then donated to food banks, homeless shelters and other food distribution centers. 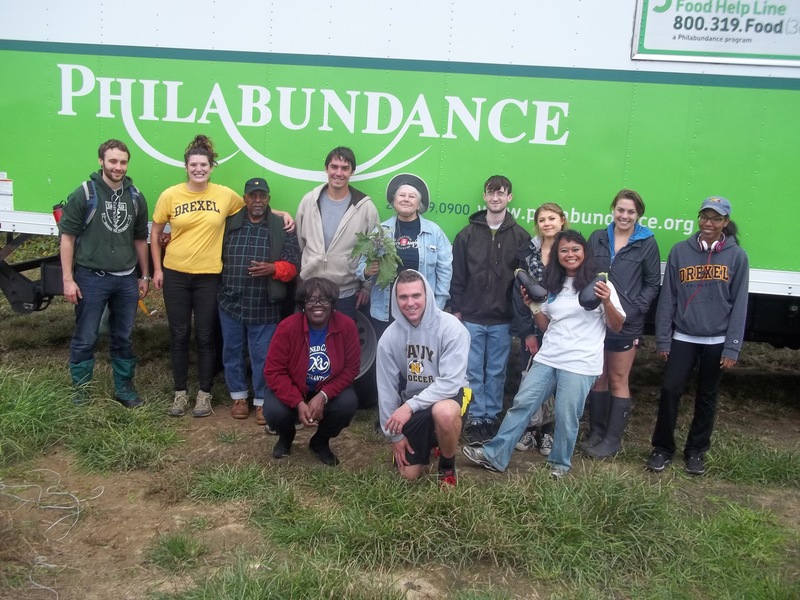 As part of its gleaning course, Drexel partnered with local hunger relief organization Philabundance, which runs a seasonal gleaning program. The students spent two days during the fall term working in the fields at A.T. Buzby Farm in Woodstown, New Jersey. Along with other Philabundance volunteers, the students collected an average of about 5,000 pounds of produce per trip. Eva Thury, PhD, an associate professor in the Department of English & Philosophy, taught the course. Thury said she was inspired to create the class after watching Agnes Varda’s film “The Gleaners and I,” a French documentary released in 2000 that features various kind of gleaning. In addition to the hands-on experience in the fields, regular class sessions were held on Mondays at Drexel’s Dornsife Center for Neighborhood Partnerships. Students studied examples of gleaning in films and literary pieces. 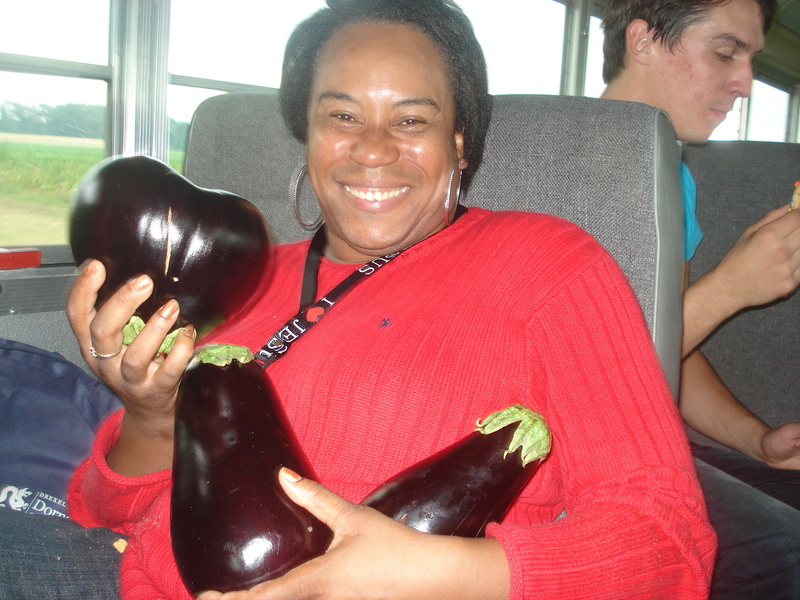 Rahkinah Laurel shows off some of the produce she gleaned at the farm. In addition to the Agnes Varda film, the class watched “Symphony of the Soil,” a study of how soil and water are used to produce crops today. Students also studied Jonathan Swift’s “A Modest Proposal,” Jonathan Miles’s novel “Want Not,” and other essays, poems and stories. “Some students were initially surprised that this was an English course, but I wanted them to understand that literature and film were legitimate ways to approach and analyze a problem in our society,” Thury said. 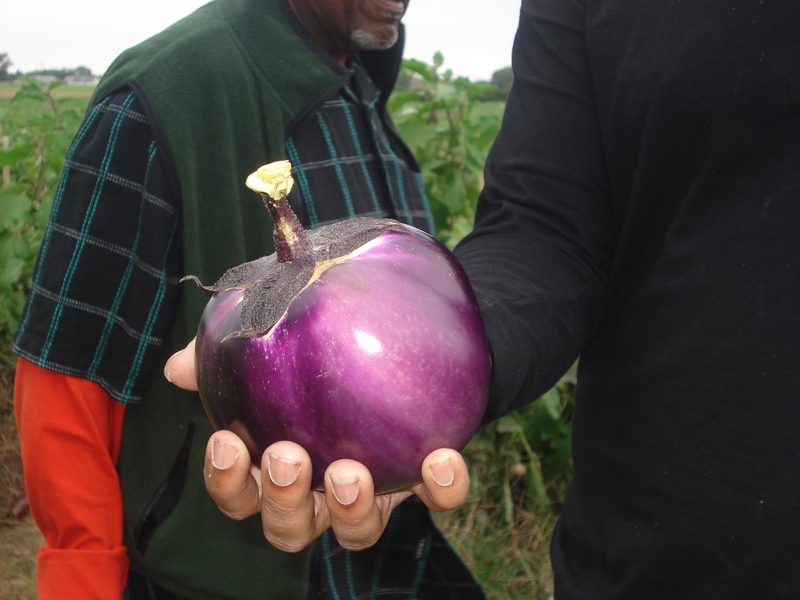 Students collected produce that wouldn’t meet the strict standards required by supermarkets. 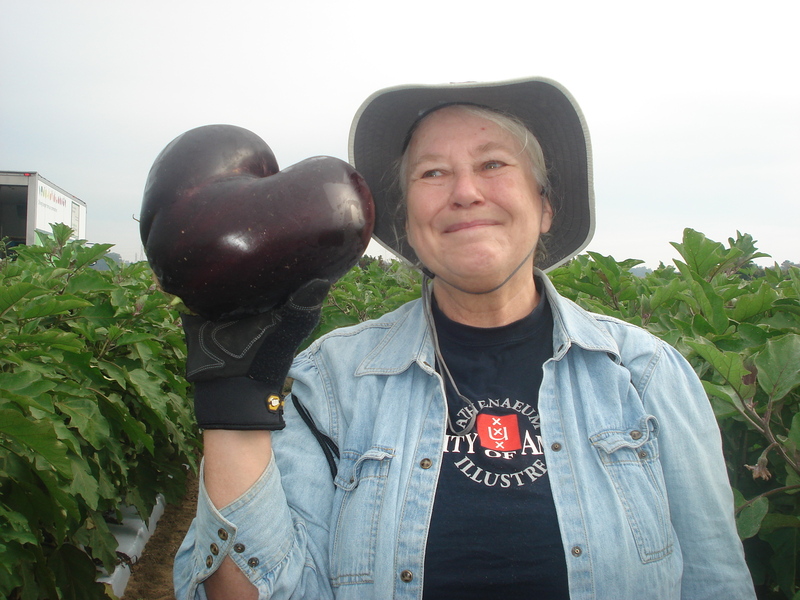 Beyond produce, Thury hopes her students gleaned some important lessons from the course, too. Thury hopes to offer this course will become a regular offering of the department. Known as a “Side-By-Side” course, a community-based learning course format at Drexel, the course was opened up to members of the local community free-of-charge (non-Drexel students do not receive academic credit for the coursework). “Side-By-Side courses were created out of the recognition that all students – those from Drexel and the larger community – offer a unique perspective and knowledge base,” said Cyndi Rickards, coordinator of community outreach and assistant teaching professor of criminal justice. Thury hopes students leave the course with a sense of being part of a community that is concerned about food security for everyone. Since 2010, Drexel has offered Side-By-Side courses in disciplines including sociology, criminology, communication, business, culinary arts, English and history. News media interested in speaking further with Thury about this course should contact Alex McKechnie at ahm62@drexel.edu or 215-895-2705.